The C+E Artic Class has the same gear box as the C Class Vehicle and cab layout so upgrading is not a large problem. 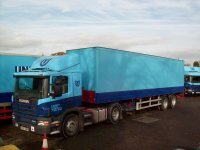 The Trailer is 36 feet long two Axel on air suspension and has ABS fitted. We find that this length of Trailer is well suited for town Driving and also on our Large Reversing Area when Practicing the Reverse manoeuvre for test. If you want to upgrade from Class C to C+E Give us a ring for an Assessment Drive or a Refresher Course. As with any Trailer Time is needed to get used to steering the opposite lock to make the trailer go where you want it to go. Uncoupling and Re-coupling up to the Trailer is now part of the Driving Test and we Practice this in the yard to get it in the correct procedure for safety. As with any course the DVSA Instructor will help you to gain the confidence you need to pass the 1hour 30 minutes Driving Test. WE TRAIN ONE TO ONE. 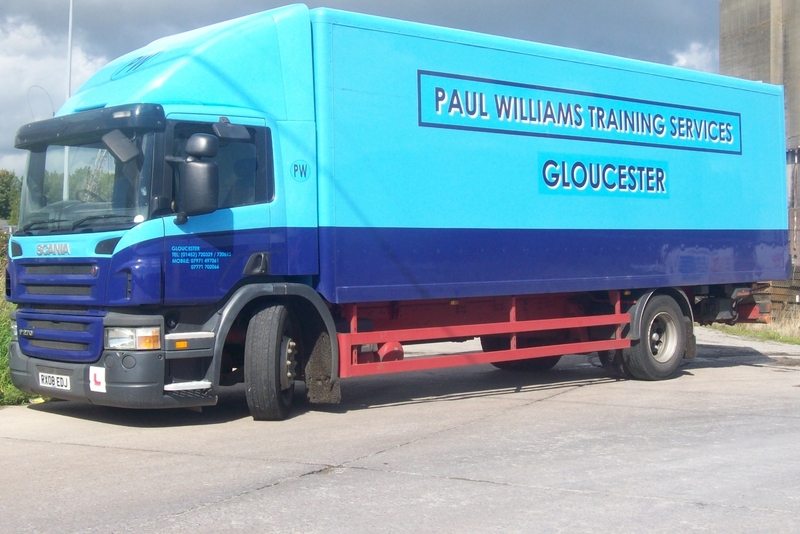 Our HGV Training School in Gloucester is near the Test Station and we now the routes in the town. Some firms from Bristol,Birmingham or Northampton will travel to Gloucester to Train. We Train in 4 Hour Lessons Mornings or Afternoons so it does not affect your whole day.